The goal of the programs is to develop viable urban communities by providing decent housing, suitable living environment and expanding economic opportunities principally for low– and moderate-income persons. The program year will start on October 1st, 2019. CDBG, HOME and ESG funding accomplishes the City’s housing needs as related to the availability of an access to affordable housing, fair housing, infrastructure, economic development and assistance to the homeless. These meetings will provide a review of program progress, an overview of the City’s current housing and community development strategies, and an opportunity for citizens to present their views on the City’s housing and community development needs. The City will accept written proposals for funding of eligible activities that are consistent with the City’s housing and community development strategies. Proposals will be available March 15, 2019. You may visit the city website or contact Rumulus Brown for a proposal form, instructions for submitting a proposal, criteria for eligibility and funding priorities, and other assistance. If you plan on submitting a proposal, it is recommended that you attend the following pre-proposal workshop. You must register in advance for the workshop by calling (717) 255-6419. 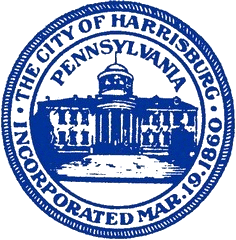 The Citizen Participation Plan is available for public review and comment, the Citizen Participation Plan is the City’s mechanism for encouraging citizen comment and involvement in developing Harrisburg’s Annual Action Plan, as well as reviewing the City’s performance reports and amendments to the Plan.